As anyone who has ever sorted through any kind of collection knows – whether it be at home, in a library, museum, or anywhere — the process of archiving can be time consuming and laborious. In this instance, I’m giving each document a unique number and placing it in its own archival grade sleeve. The material is separated according to production (film or theatre) and date, and each production is given its own folder. The folders and documents are then placed in special archival boxes for storage. As I go along, I’m scanning all photographs and playbills/programmes, as well as cataloguing each document on a spreadsheet and preserving the order in which Richard Mangan had lovingly organised it. So far I’m on Box 3, year 1934 in Laurence Olivier’s career. That’s still…binder 3 of 30. It’s a lot of material! But as they say, slow and steady wins the race and I am very much enjoying it! Here are some of the highlights from Box 1 of the collection. I hope you find them as interesting as I do! And if you have a similar collection, I’d love to know how you inventory things and take care of them. Laurence Olivier in his professional stage debut as Kate in Shakespeare’s The Taming of the Shrew. Memorial Theatre, Stratford-upon-Avon, 1922. (RMLO_7 / Kendra Bean Collection). 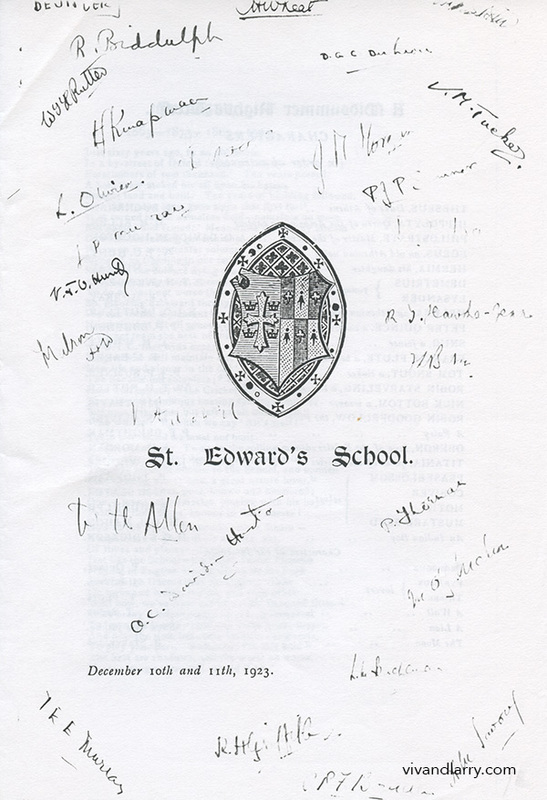 Copy of programme for A Midsummer Night’s Dream at St Edward’s School, Oxford, 1923. Laurence Olivier appeared as Puck. You can see his signature near the top left. (RMLO_11 / Kendra Bean Collection). Did you know that Laurence Olivier’s sister tried to become an actress? 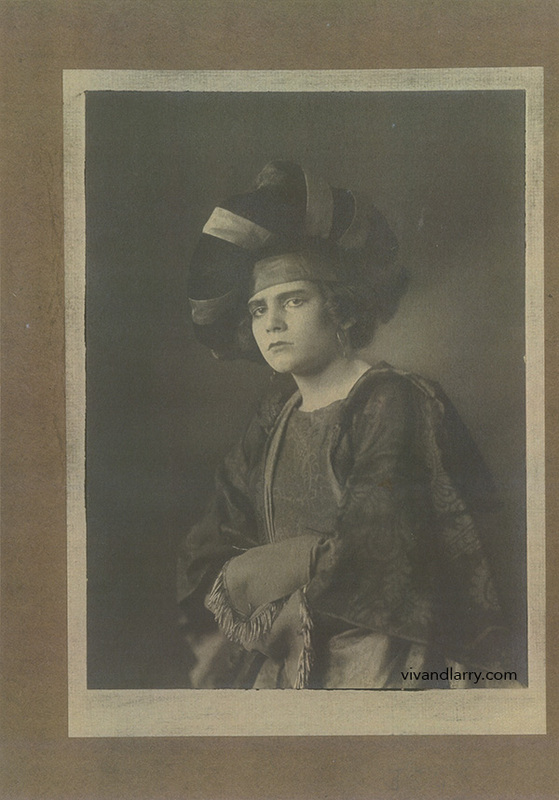 This is a programme for a play called The Dancers, starring Sybille Olivier as Mrs. Mayne. She performed with a company formed by Frank Curzon and Gerald du Maurier. 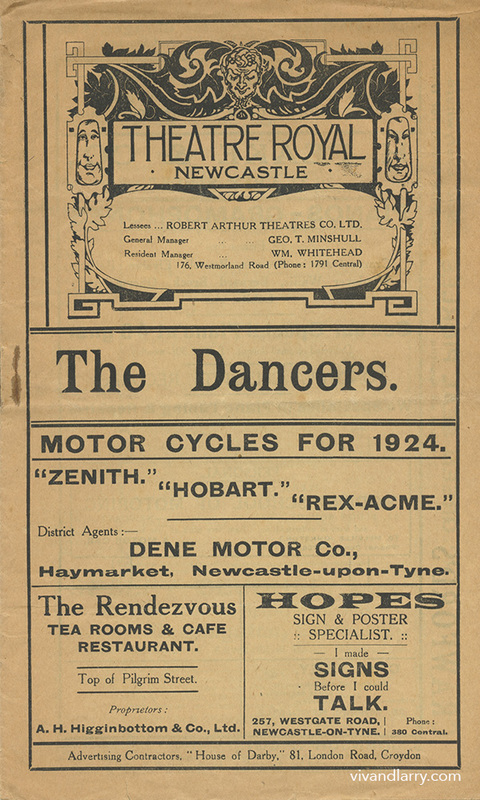 This programme is from the Theatre Royal in Newcastle-upon-Tyne, 1924. (RMLO_2/Kendra Bean Collection). 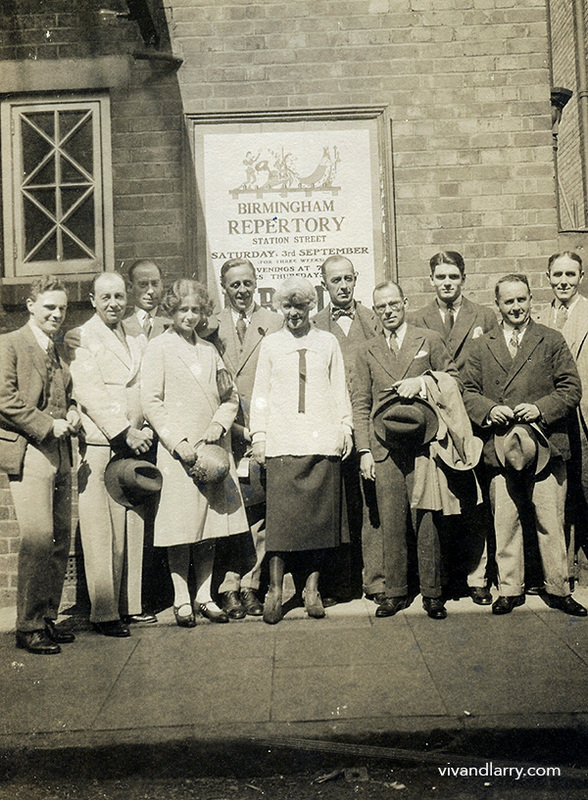 Cast and crew of the Birmingham Repertory Company in front of an advertisement for John Drinkwater’s Bird in Hand. This image is one of a set of four rare photographs taken in front of the theatre in 1927. Laurence Olivier can be seen third from right. Peggy Ashcroft is pictured fourth from right, and at the far left is playwright John Drinkwater. (RMLO_48/Kendra Bean Collection). Scene from Aren’t Women Wonderful! by Harris Deans. Birmingham Rep. production, 1927. 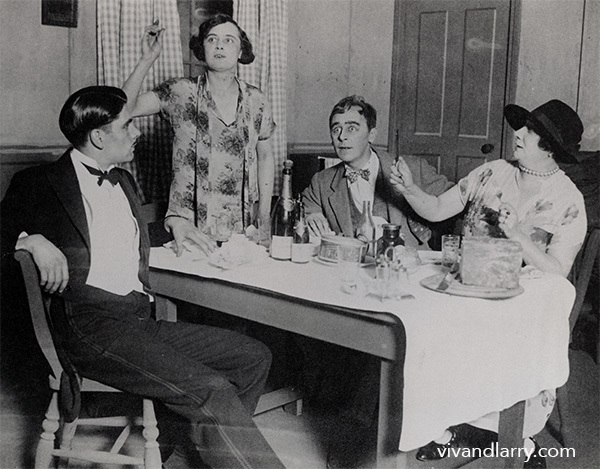 L-R: Larry Olivier, Dorothy Turner, Charles Maunsell, Margaret Chatwin. (RMLO_63/Kendra Bean Collection).